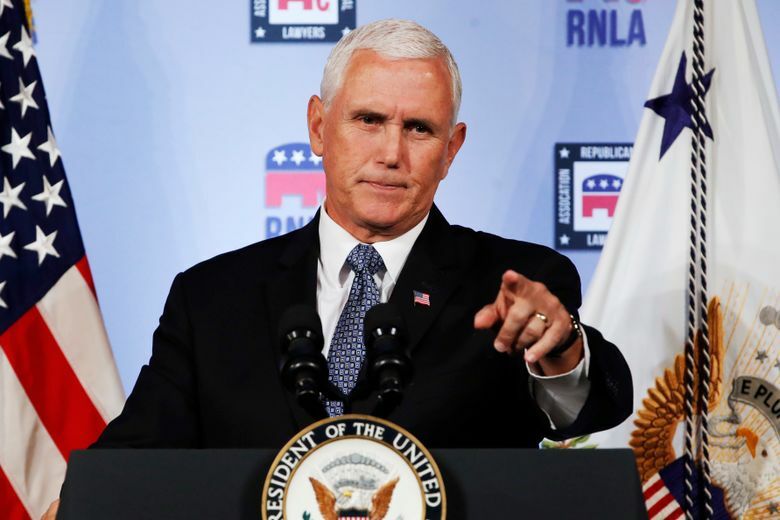 WASHINGTON (AP) — Vice President Mike Pence said Friday that Democrats have turned the Senate’s traditional role of providing advice and consent into “obstruct and oppose” when it comes to President Donald Trump’s judicial nominees. 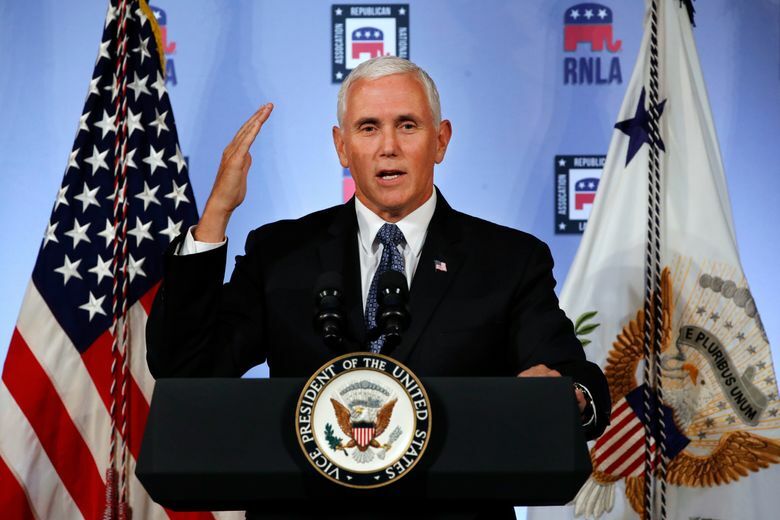 Speaking to the Republican National Lawyers Association, Pence said Democrats are “pulling out all the stops” to defeat Brett Kavanaugh’s confirmation to the Supreme Court. “The truth is, if we lived in a more respectful time, Judge Kavanaugh would be overwhelmingly confirmed,” Pence said before noting that former Supreme Court Justice Antonin Scalia was approved 98-0 and that Justice Ruth Bader Ginsburg received 96 votes. Pence’s comments Friday came as all 10 Democratic members of the Senate Judiciary Committee called for a delay in Kavanaugh’s confirmation hearings. The Democrats cited “the possibility of criminal wrongdoing” by Trump and said Kavanaugh has “consistently and clearly” expressed doubt about investigating sitting presidents. They also asked for a special meeting of the committee to discuss the Kavanaugh confirmation going forward, saying they need time to get adequate information in light of this past week’s conviction of former Trump campaign chairman Paul Manafort and guilty plea from former personal lawyer Michael Cohen. “The lack of due diligence that candidate and President Trump has displayed in selecting advisers and judicial nominees should give every Senator pause,” the lawmakers wrote to Judiciary Committee Chairman Charles Grassley, R-Iowa. Grassley and Senate Majority Leader Mitch McConnell are intent on moving ahead with hearings for Kavanaugh beginning Sept. 4. “Chairman Grassley has been standing strong and we’re grateful for him,” Pence said. Democrats are arguing that the process for evaluating Kavanaugh is broken, with records from his time as President George W. Bush’s staff secretary unavailable for review. Republicans counter that the most relevant measure of Kavanaugh’s judicial philosophy is the 300-plus legal opinions he’s written over the past 12 years as a member of the District of Columbia-based U.S. Court of Appeals. “They’re demanding a ridiculous number of documents from Judge Kavanaugh’s past,” Pence said.